Good Shepherd Entertainment and indie developer CreativeForge Games have combined forces to bring us Phantom Doctrine, a turn-based tactical strategy Cold War espionage game launching at the end of this summer. Players lead The Cabal, a secret organization fighting back against a global conspiracy trying to control the world at the peak of the Cold War. Command your base of operations in the shadows: recruit and train agents, investigate cases, forge documents and identities, research new tech and biochemical engineering, and interrogate and brainwash enemies to gain a tactical edge. 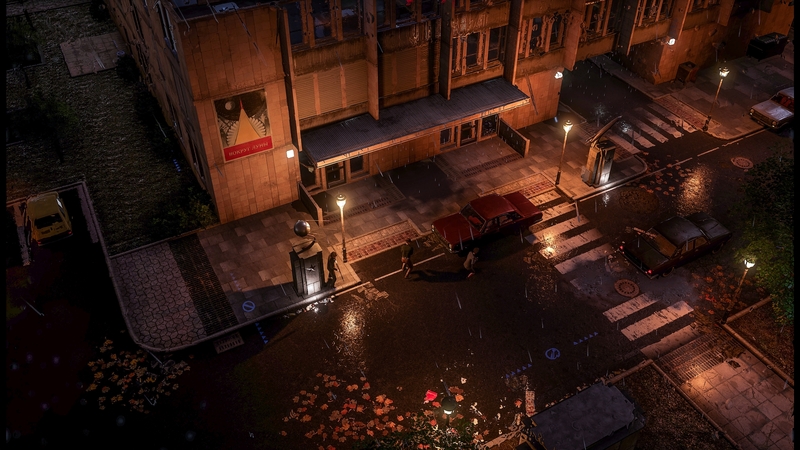 Phantom Doctrine‘s single-player mode uniquely presents players with two different campaign backgrounds to choose from either “a KGB counterintelligence operative or a renegade CIA wet work commando.” The turn-based missions within the game are designed to optimize player choice: choose between launching an aggressive attack to choosing a method of stealth and subtly. Regardless of the routes taken, players are taxed with positioning assets around the world and infiltrating hot zones with undercover operatives. The single-player campaign is a full fledged 40 hours. Additionally, the game offers one-on-one online multiplayer matches and includes a New Game Plus campaign. There’s plenty of content here and the trailer looks promising so this could be one you want to keep on your radar. Hopefully, the gameplay between the KGB route and the CIA route is different enough to warrant the distinction. We’ve seen plenty of other games where that kind of choice is an arbitrary coat of paint rather than two distinct experiences. Phantom Doctrine costs $39.99 and releases on August 14th, 2018 for PS4, Xbox One, and Windows PC.